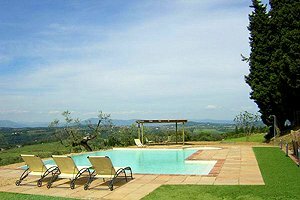 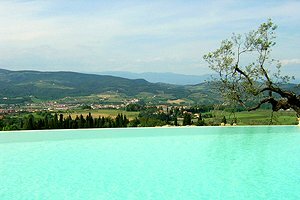 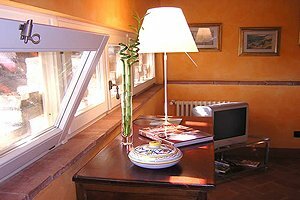 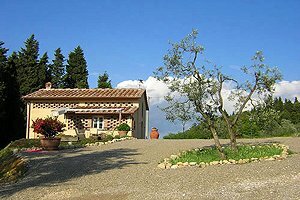 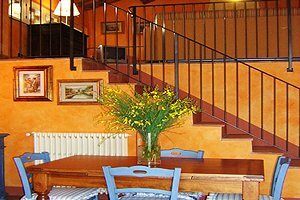 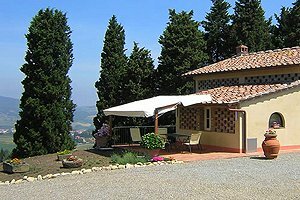 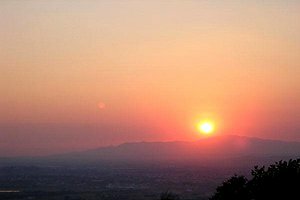 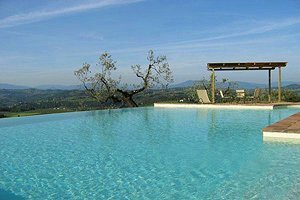 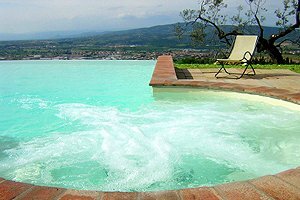 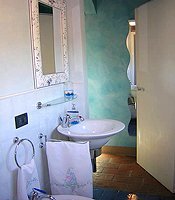 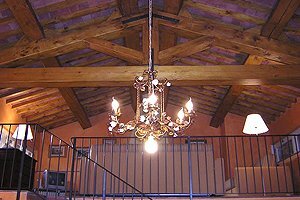 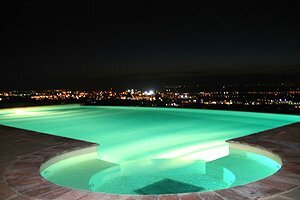 The holiday villa is situated in Empoli countryside, about 230 metres above sea level, in Montelupo Fiorentino (Florence), and enjoys a wonderful view over the surrounding countryside. 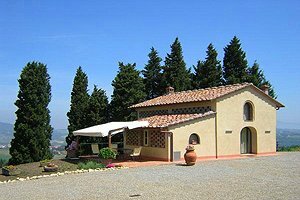 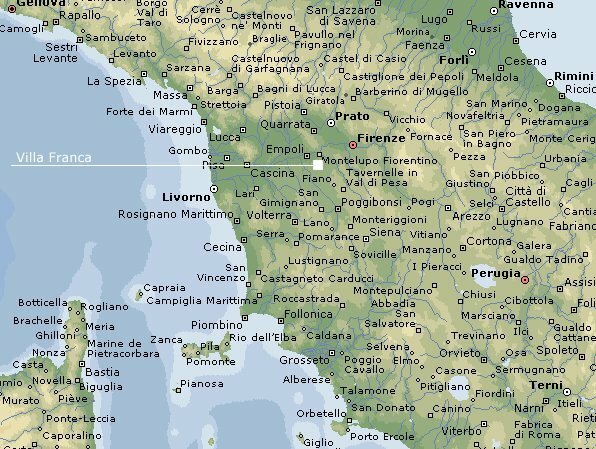 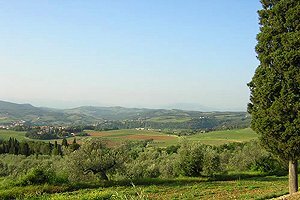 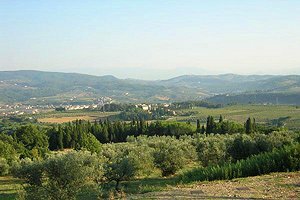 Vinci, San Miniato, Florence, Pisa and Siena are easily reached by car for pleasant one-day trips at the discovery of the Tuscan art and culture. 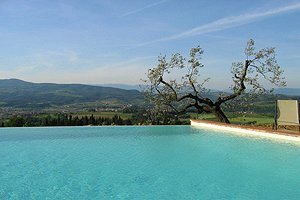 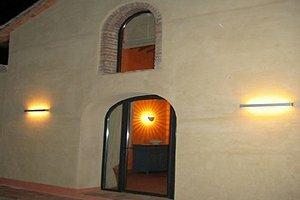 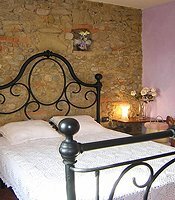 Guests are granted the exclusive use of the garden that surrounds the building - an ancient barn which has been renovated with an eye to the traditional Tuscan rustic style - and of the private swimming pool (10.5x7.5 m; depth: 1.20-1.40 m) situated about 50 metres from the villa and open from mid-May to September. 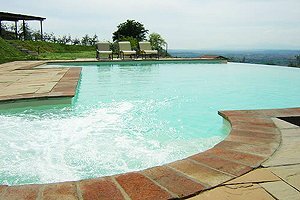 The pool side is furnished with table, chairs and sun loungers, and the swimming pool has a whirlpool area. 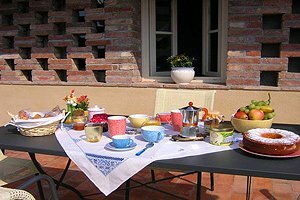 The veranda is furnished with deck chairs, table and chairs for having meals al fresco. 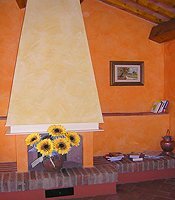 Upon arrival guests are offered a welcome pack including a bottle of red wine, a bottle of extra-virgin olive oil and season`s fresh fruit. 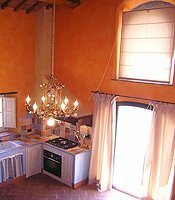 In order to allow guests to taste some typical Tuscan delicacies, every week a culinary surprise is served. 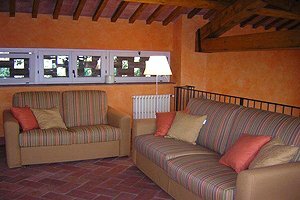 A living room with fireplace and a double sofa bed is in the loft. 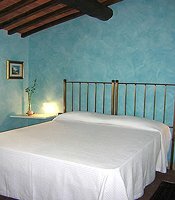 The villa comes with swimming pool with whirlpool area, barbecue, ceiling fans, fireplace, heating system, alarm system, ADSL Internet connection, stereo system with CD player, satellite TV, DVD player, kettle, microwave oven, American-style coffee-maker, dishwasher, washing machine, iron and ironing board, hairdryer, first-aid kit, safe and private parking place for two cars. 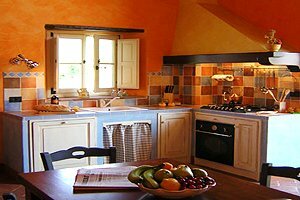 The following services are available upon request: cook, baby sitter, maid, breakfast, some bicycles and daily linen change (additional charges apply).